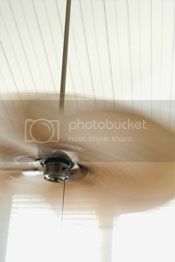 Paddle Fans: To keep cool use paddle ceiling fans set to rotate in a counterclockwise direction when looking up. Since they don’t cool the air, just the people in the room, run paddle fans only when the room is occupied. Attic Vent Fans: Add an attic exhaust fan near the peak of your roof to keep the attic cooler, lower air conditioning bills, and make your roof last longer. Block Sunlight: Lower blinds or close curtains on sunny windows during the day to reduce solar heat gain in your home. Apply Window Film: Another way to reduce solar heat gain in your house is by applying window film to the inside of single pane windows and glass doors. Install Low-E Glass: When installing new windows on your home, make sure the glass comes with a Low-E coating suitable for your climate. Low-E coatings also reduce UV rays from sunlight that can damage and fade furniture, fabric, and rugs. This entry was posted on Thursday, June 21st, 2012	at 2:45 am	. You can follow any responses to this entry through the RSS 2.0 feed. Both comments and pings are currently closed.